The Speedway Police Department is proud to announce to the Speedway community that the Department has been awarded once again as an accredited law enforcement agency through C.A.L.E.A. (the Commission on Accreditation for Law Enforcement Agencies). C.A.L.E.A. is widely considered to be the gold standard of professional law enforcement, since less than four percent of police departments in the country are nationally accredited. This journey began six years ago when the Speedway Police Department signed a contract with C.A.L.E.A., signaling the Department’s intention to be voluntarily held to the best standards and practices in law enforcement. The Department chose to do this to demonstrate its commitment to professionalism to the people of Speedway, whom they serve, and was accredited for the first time in March of 2015. In December of 2017, C.A.L.E.A. sent two independent assessors to Speedway. They inspected the Department’s facilities and equipment, reviewed the Department’s policies and procedures, observed officers at work, and interviewed Speedway community members regarding their interaction with the Speedway Police Department. Upon completion of their visit, the C.A.L.E.A. assessors recommended without reservation that the Speedway Police Department once again receive accreditation. On March 24, 2018, representatives of the Speedway Police Department travelled to Frisco, Texas and met with the C.A.L.E.A. commissioners. The commissioners formally recognized the Speedway Police Department as a re-accredited agency. This award is good for four years, at which time the Department will again apply for re-accreditation. The Department wishes to thank the people of Speedway for their continued support through this process, and looks forward to serving the Town of Speedway in the future. Reminder: SPD Needs Your Support, Monday 12/11! Just a reminder that the Speedway Police Department is undergoing an assessment by CALEA (Commission on Accreditation for Law Enforcement Agencies, Inc) to achieve accreditation, indicating that the Department meets the high standards and criteria and excellence in public safety. Writing your comments to the Commission: Commission on Accreditation for Law Enforcement, Inc. (CALEA®), 13575 Heathcote Boulevard, Suite 320, Gainesville, Virginia, 20155. For more details on CALEA, click here. A team of assessors from the Commission on Accreditation for Law Enforcement Agencies, Inc. (CALEA®), will arrive on December 11, 2017, to examine all aspects of the Speedway Police Department’s policies and procedures, management, operations and support services, Chief James Campbell announced today. Verification by the team that Speedway Police meets the Commission’s state-of-the-art standards is part of a voluntary process to gain accreditation—a highly prized recognition of public safety professional excellence, he said. Commission on Accreditation for Law Enforcement, Inc. (CALEA®), 13575 Heathcote Boulevard, Suite 320, Gainesville, Virginia, 20155. Accreditation is for three years, during which the agency must submit annual reports attesting continued compliance with those standards under which it was initially accredited. This accreditation cycle will examine the practices of the Speedway Police Department for 2015, 2016, and 2017, to date. For more information regarding the Commission on Accreditation for Law Enforcement Agencies, Inc., please write the Commission at 13575 Heathcote Boulevard, Suite320, Gainesville Virginia, 20155 or call 703-352-4225 or email calea@calea.org. On behalf of the Speedway Police Department and myself, I want to thank all those who participated in personal interviews, made phone calls to the assessors, and attended our CALEA Public Meeting last evening. The support by your participation, presence, and public comments were truly appreciated and well received by our CALEA Assessors. I believe the demonstration of the positive relationship the Department has with the citizens of Speedway makes a major impact on our effort to become CALEA Accredited. 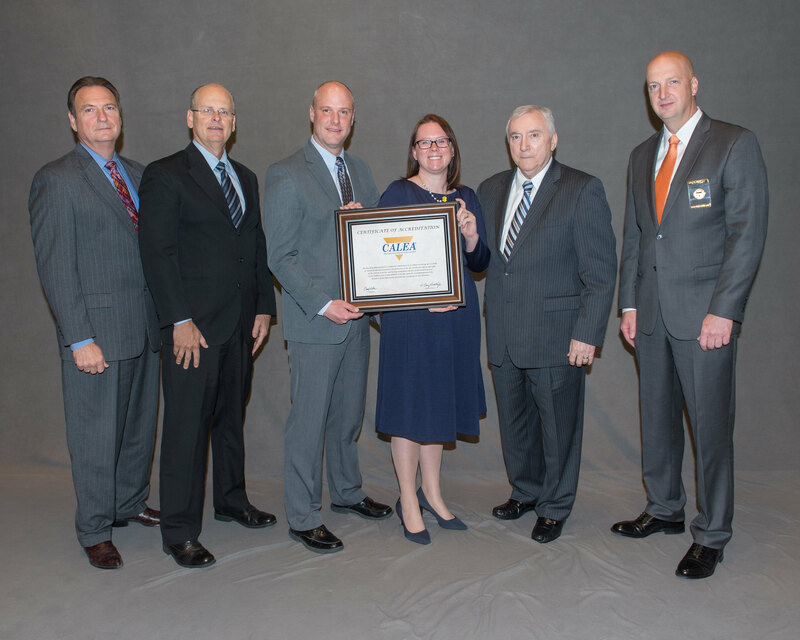 This has been a long journey for the Department to be recognized nationally as a Department that complies with the best practices and gold standard of Law Enforcement professionalism. Our efforts in Community Policing and quality public safety is truly a partnership with those who live and work in our Town.